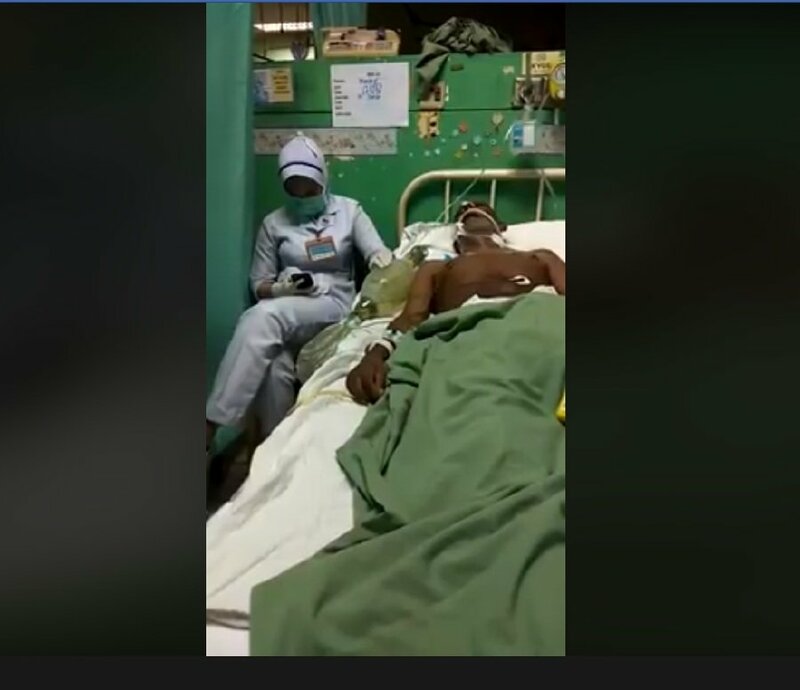 The Johor Health Department (JKN) is seriously viewing an incident involving a trained nurse who was engaged with her mobile phone while providing breathing assistance to a patient, a video of which has gone viral on social media. Its director, Dr Selahuddeen Abd Aziz said the department’s preliminary investigation as well as the one carried out by the Sultanah Aminah Hospital (HSA) here had confirmed that the patient was currently under treatment at HSA, and a thorough investigation into the incident was underway. “The JKN and HSA have already met with the patient’s family members to get a detailed picture and information over the matter. “A committee comprising specialists and nursing supervisor from HSA and JKN has started the investigations,” he said in a statement posted on JKN Johor Facebook account today. Dr Selahuddeen said the HSA had its own standard operating procedures (SOP) to handle patients who needed respiratory assistance while waiting to be sent to the Intensive Care Unit (ICU) and both JKN and HSA viewed it seriously when its staff allegedly failed to comply with the (SOP). He said if the investigations found any element of negligence, the nurse involved would be subjected to stern action. Dr Selahuddeen also reminded the public to refrain from taking pictures and videos at any of the facilities of the Health Ministry, particularly of patients while they were in wards or clinics as it violated the ethics and confidentiality of patients.